The HZ range of vacuum cleaners have been designed to vacuum dusts that could constitute a health hazard. Features a HEPA filter mounted in an all steel secure module with an additional primary pre-filter in the container itself, these machines are designed to operate with HepaFlo dust bags to ensure easy, clean and safe emptying. 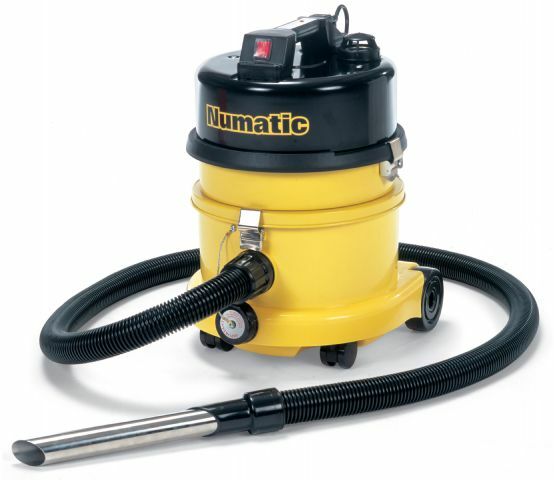 It should be noted that if the dust being vacuumed is of a hazardous nature, any repairs or maintenance work that needs to be carried out on this machine should be done in a suitable non-hazardous area with facilities for cleaning the area after servicing and with suitable ventilation. It is also our recommendation that this machine should be serviced at least once a year and that this work should be carried out by competent and qualified personnel equipped with suitable personal protection. To this end we recommend using the following company who meets all the criteria required.